Yoga brought the counter balance I desperately needed in my life. I’m the typical type A personality: determined, ambitious, and driven. I’ve worked in fast paced outside sales and marketing positions for 15+ years, and I’m also an avid runner. Needless to say, I tend to naturally be drawn toward intense activities and situations. Since 2003 when I first found yoga, I’ve embraced it more during times of stress and chaos in my life, then let it take a back seat after things calmed down. 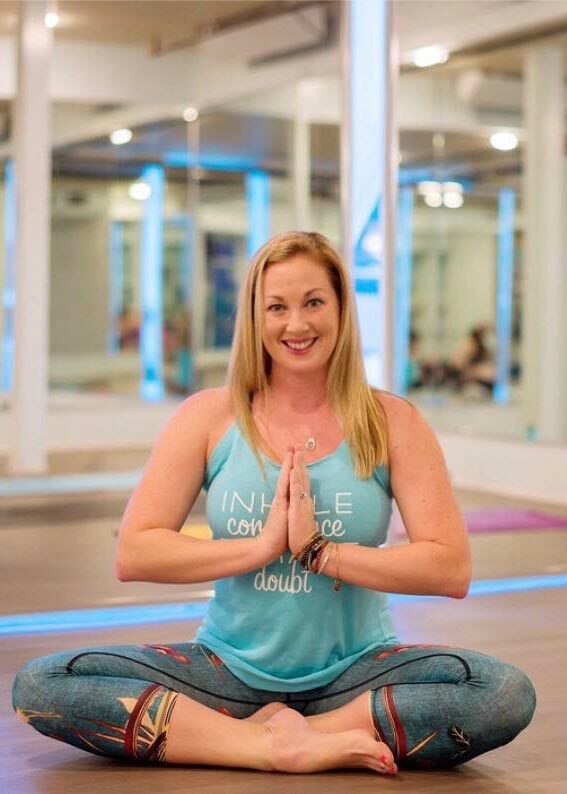 When I moved to Galveston in 2014, I had an especially difficult time adjusting, and as a way of coping with the stress I started practicing yoga daily again. That’s when I finally realized it wasn’t just a coincidence things got easier when I practiced regularly, yoga taught me how to live better. This was my “lightbulb moment” and, in true type A fashion, I wanted to share it with others. In 2016 I became a certified Buti Yoga instructor, in 2017 I completed my 200 hour teacher training, and in 2019 I received a Baptiste Journey into Power teacher credential. I have been teaching at Island Salt Air since 2017 and I’m grateful for every class where I can share the practice with others. I have a husband and two fur-babies, and still work full-time in marketing. Yoga no longer takes a back seat in my life, it is my respite.